According to Stanford’s Center on Longevity, seniors are the segment of the population with the greatest ﬁnancial security. 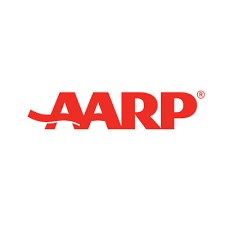 Social Security and pension plans help keep non- income earning seniors out of poverty. However, with rising cost of living and the erosion of deﬁned beneﬁt plans, the ﬁnancial future of this segment of the population is uncertain. In a recent study by the Institute on Assets and Social Policy, over one-third of senior households incur debt or have no money left over after meeting essential expenses. In other words, there is no wiggle room for these seniors. To help older adults earn more money, we partnered with Silvernest, a company that matches older homeowners with potential renters. This is a win-win situation for both parties. The homeowner gets extra income, while the renter has access to low-cost housing. In addition, they both ﬁnd companionship. This is not a trivial point since numerous studies have linked companionship to longevity. When we analyzed Silvernest’s entire membership base and sign-up flow, we found an imbalance between the supply and demand in their market place. Silvernest had many more renters than homeowners. In order to ensure the success of their platform, Silvernest needed to attract more homeowners to list their homes. To increase the number of homeowners to the site, we relied on existing research on milestones. Research from Adam Alter and Hal Hershﬁeld shows that people are more likely to engage in life-altering behaviors when they approach a new decade in age (e.g., at ages 29, 39, 49, etc.). It seems that when people approach a new decade, they feel the need to ﬁgure everything out. We wondered if the same “age milestone” principle could work for the age of 65. Our Facebook ads ran for four days, reaching close to 75,000 64-year-olds. Our main variable of interest was click-through rates across both conditions. Interestingly, our experimental condition more than doubled click-through rates. 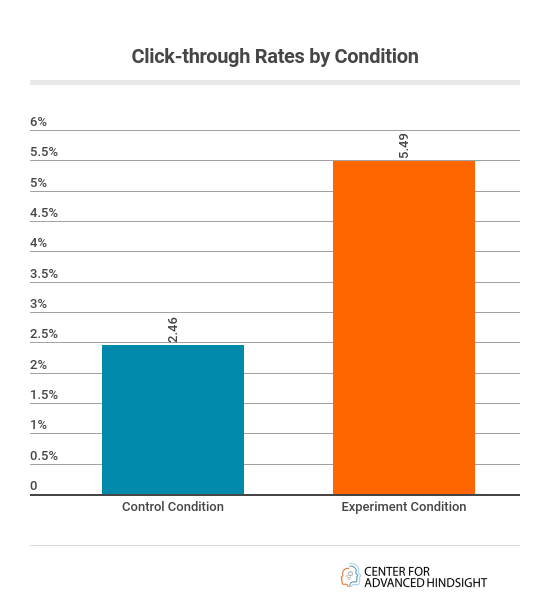 The experimental condition received a 5.49% click-through-rate, compared to a 2.46% click-through rate in the control condition (these differences were statistically signiﬁcant at p<.001). These click- through rates are astonishing, considering that the average click-through rate on Facebook is roughly 1%. Based on the results of this experiment, Silvernest has changed its advertising strategy, and is now targeting speciﬁc age groups. Since these changes were implemented, they’ve seen higher homeowner sign-up rates. In 2018, we will continue to experiment with age milestones to understand if the effect can be replicated for other age groups.